Location: 7 Stables courtyard elevation only. 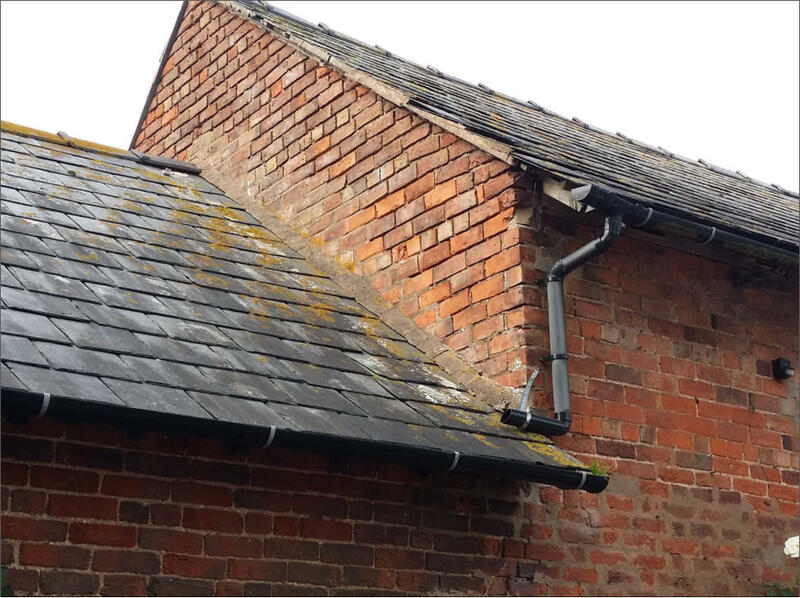 Defect: Beyond economical repair. Over 1/3 of slates already fixed with lead tags. 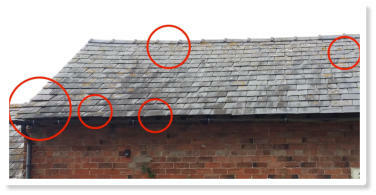 Numerous slipped and damaged slates. 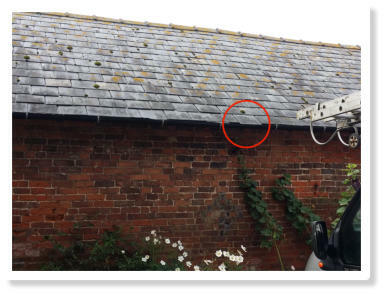 Action: We would recommend a strip and re-slate using sound existing slates and make up shortfall with similar size and colour. 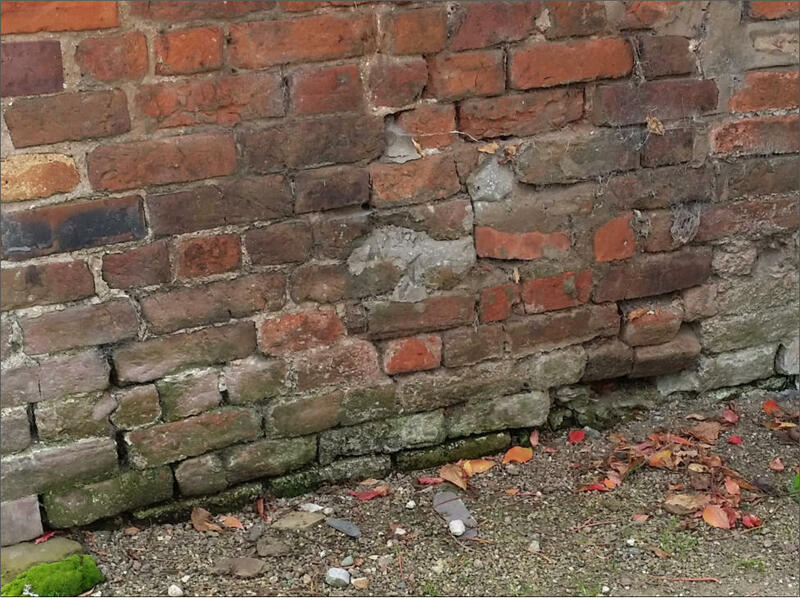 Defect: Brickwork pointing perished. Action: Rake out perished mortar and re-point with 4/1 sand cement mix. 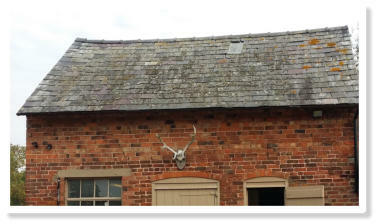 Location: 8 Stables side elevation. 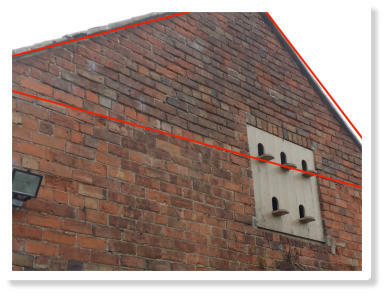 Location: 11 Stables rear elevation. 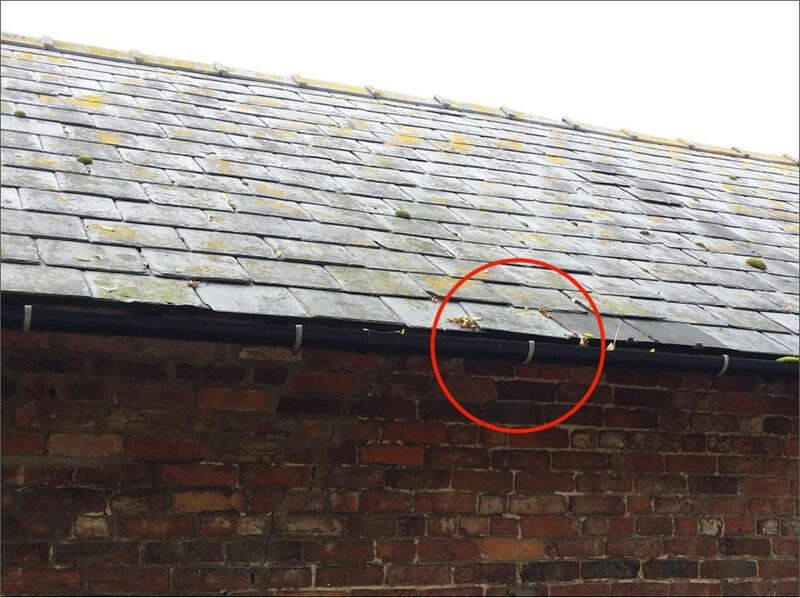 Defect: Loose and missing mortar on gable end verge. Action: Remove loose mortar, backfill and point smooth with 4/1 sand cement mix. 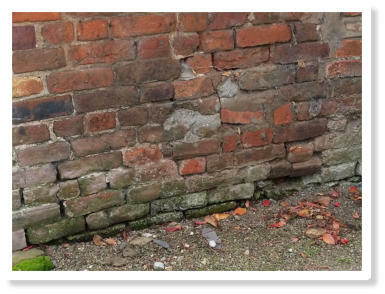 Defect: Brickwork pointing perished and blown brick. Action: Rake out perished mortar and re-point with 4/1 sand cement mix. 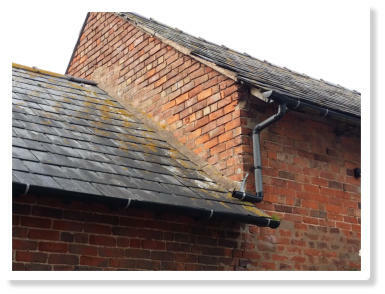 Replace blown brick with similar size and colour. Location: 9 Stables side elevation. 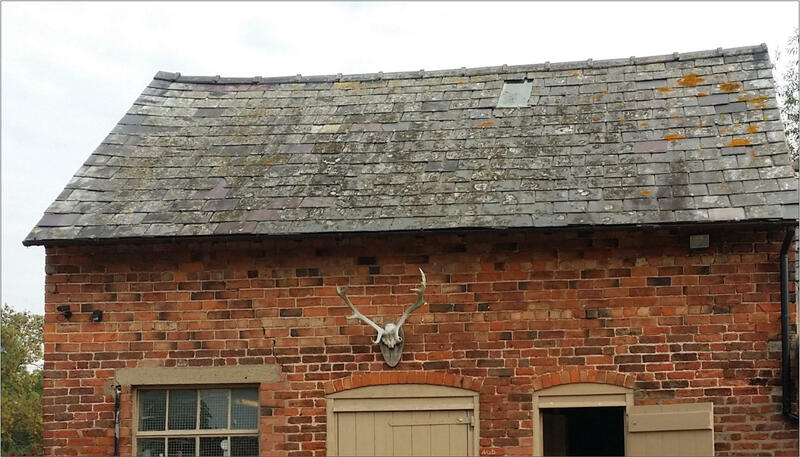 Location: 10 Stables rear elevation. 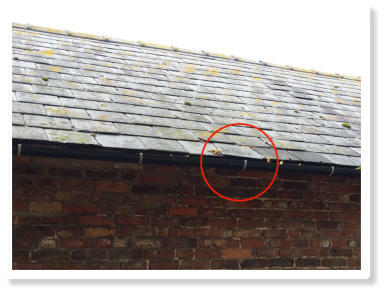 Defect: Missing, damaged and slipped slates. 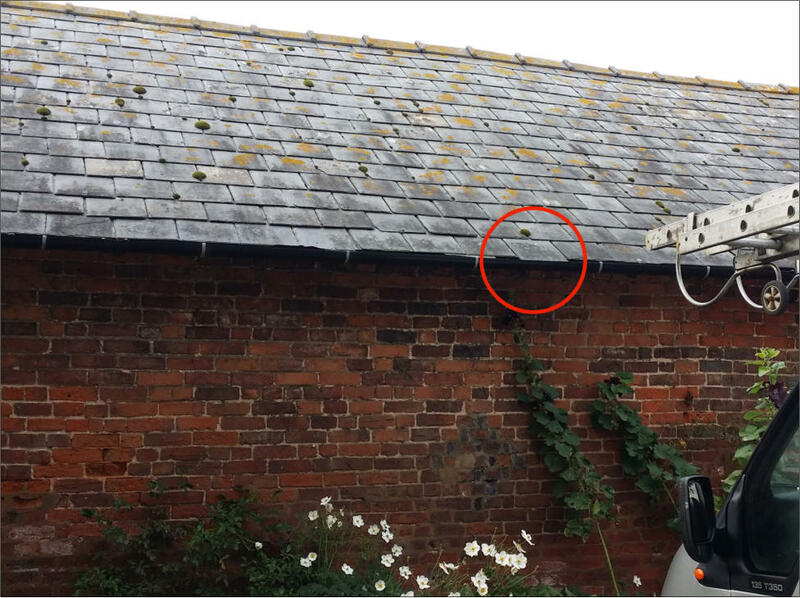 Action: Remove and replace with reclaimed slates to match existing. . 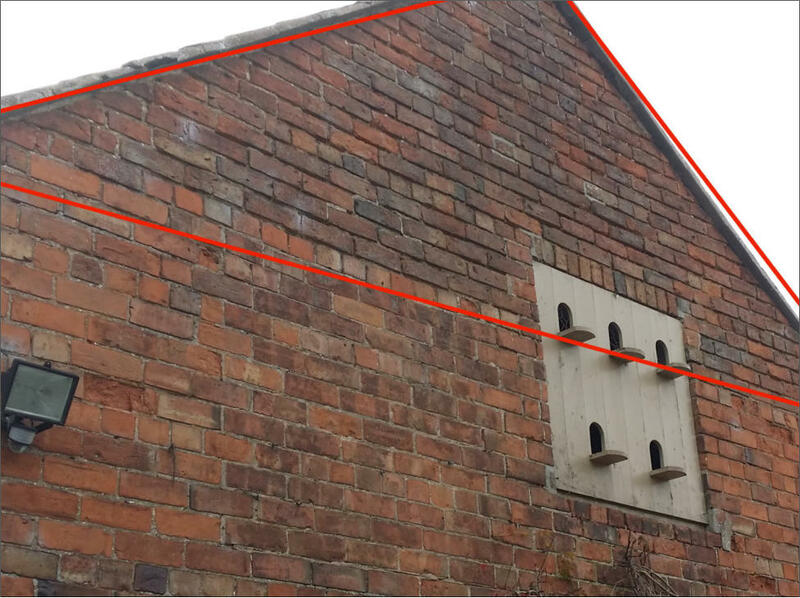 Location: 12 Stables rear elevation. Defect: Slipped slates. Action: Relocate and fix slates.